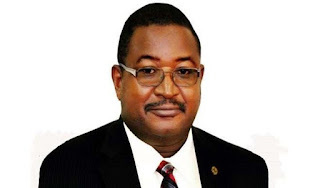 The Economic and Financial Crimes Commission (EFCC) on Friday slammed a six-count charge on a former Group Managing Director of the NNPC, Mr Andrew Yakubu. The charge was contained in court papers filed on March 9 at the Federal High Court Abuja. According to the charge sheet, made available to the News Agency of Nigeria (NAN), Yakubu was accused of failing to make full disclosure in his Assests Declaration form of the sums of 9,772 800 dollars and 74,000 pounds contrary to Srction 27 (3)(a) of the EFCC act 2004. He was also accused of receiving a cash payment of the said sums without going through a financial institution thereby committing an offence under the Money Laundering Prohibition Act 2011. The former NNPC boss was further charged with receiving the same amount when he fully knew that the said fund formed part of proceed of unlawful activity. This, according to the charge sheet, run counter to Section 7 (4) of the Advance Fee Fraud and Other Related Offences Act 2006. The EFCC had in February found about $9.8m and 74,000 pounds kept in a rundown bungalow in Sabon Tasha a suburb of Kaduna, which it said was concealed by Yakubu. A court in Kano later ordered the forfeiture of the money to the federal government following a motion filed by the anti-graft agency. However, the former NNPC boss has filed a case in another court in Kano seeking the vacation of the earlier court’s order.